Cracker Barrel is the ultimate one-stop last-minute gift shop as holiday shoppers can pop into a Cracker Barrel Old Country Store on their way to holiday parties and family gatherings to find gifts for everyone. One of their collections, the Oh Gussie! home goods and kitchenware, is created by Kimberly Schlapman of country group Little Big Town. The line is inspired by Schlapman’s love of cooking and her time at home with family and friends. Created and designed by Schlapman and the Cracker Barrel team, the collection includes a variety of items from whimsical kitchen utensils and inviting household décor to vintage-inspired dishes and nostalgic holiday items. Oh Gussie! will also feature a special set of pieces entitled “Paw Paw Pottery” that were inspired by the singer’s father and his recent love for creating pottery pieces as gifts for his daughter and family. Sip your favorite coffee or tea in this Burgundy Stoneware Mug, part of the exclusive Oh Gussie! Collection created in collaboration with Little Big Town's Kimberly Schlapman. The rich burgundy color and simple, relaxed shape pair perfectly with the Dinner and Salad Plates from the collection. Mix and match with other mug colors for a charming, cheerful set you'll love! This neutral-hued throw blanket is a warm and cozy home accessory you can use year-round! 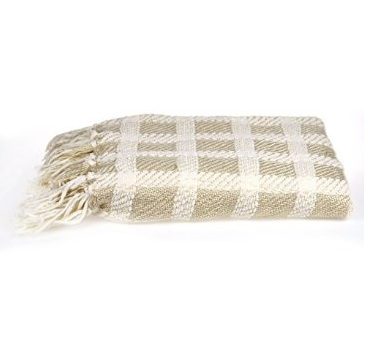 This taupe and cream checked throw incorporates soft shades designed to coordinate easily with any home decor style. Wrap up for movie night, toss it across the back of a chair, or give it as a thoughtful gift! 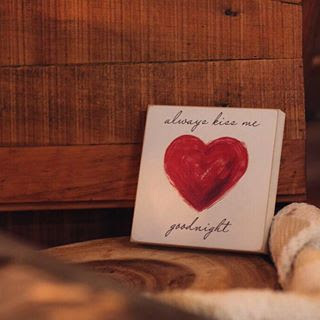 Whether you display this sweet decorative sign in your own bedroom or in a child's nursery or playroom, our "Always Kiss Me Goodnight" Block Sign is a wonderful reminder let our dearest ones know how much we love them. Sweet script and a painted heart design give it style and personality with casual flair. This decorative sign is perfect for displaying on a shelf or dresser top or hanging on the wall. 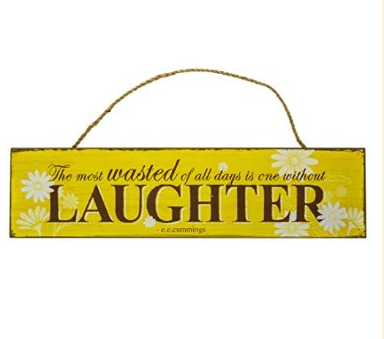 Give any room a splash of sunny joy with our "Laughter" Wall Decor. This weathered wood sign features a profound quote by American poet e.e. Cummings about the importance of daily joy. It features a signature daisy motif and relaxed, cheerful style. A jute rope for hanging completes the look. You can purchase the 50 items in the collection ranging in price from $3.99 to $39.99 at all store locations and online at crackerbarrel.com.